Go to any mortgage lending website and you'll see images of smiling families and beautiful homes accompanied by text that makes it sound like lenders are standing by just waiting to help you find the loan that works for you regardless of your situation. But the truth is that lending such large amounts of money is a risky business, and that money isn't handed over to just anyone. There are many hoops that you need to jump through before a lender will even consider you for a loan. So, what does it take to qualify for a mortgage? 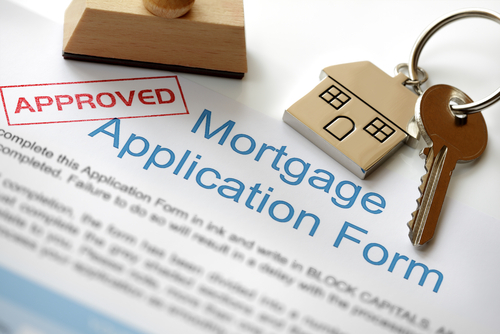 Here are some areas that lenders look at when considering approval for your home loan. Your job history is important and it will be a major factor in whether you qualify for a loan. If you have been working continuously for two years or more, you are considered to have steady employment. However, you do not have to have held the same job for two years in order to be approved for a loan. Job moves that result in equal or more pay and continue to use proven skills are a plus for you. If there are good reasons why you haven't worked continuously for the last two years, you can explain these reasons to the mortgage lender. How you paid your bills in the past also gives a lender some indication of how you can be expected to pay them in the future. You will be asked to list all your debts, the amount of your monthly payments, and the number of months or years left to pay on the debts. Your lender will order a credit report to verify the information that you give. When you buy a home, you need money for a down payment and closing costs. The amount of the down payment may vary, but generally you must make a down payment that equals at least 5% of the purchase price. Closing costs can be expensive, depending upon where you live. The mortgage lender will want proof that you have saved the funds that you will use for a down payment and part or all of the closing costs. If the funds are in a savings account, the lender will ask the financial institution to verify the amount and the length of time that the funds have been in your account. The lender wants to make sure that you are not borrowing all the money you will use for the down payment and closing costs. The amount of your monthly payment depends upon the amount you borrow, the interest rate, and the repayment period or “term.” The shorter the term, the higher your monthly payment. For that reason, most home buyers repay their mortgage over the longest term possible, usually 30 years. When you first approach a lender about financing your mortgage, it will use the following two commonly accepted guidelines to help determine your ability to make mortgage payments: Your monthly housing costs (including mortgage payments, property taxes, homeowner and mortgage insurance, and homeowner's fees) should total no more than 28% of your monthly gross (before taxes) income. In addition to your regular pay, your income can include funds you receive from overtime work, a part-time job, or a second job; retirement, VA, and Social Security benefits; disability, welfare, and unemployment benefits; alimony; and child support. Your monthly housing costs plus other long-term debts such as payments on car loans, student loans, or other installment debt (debts with more than ten months left to repay) should total no more than 36% of your monthly gross income. Depending upon your household income, you may be eligible for special assistance programs. These programs may make it easier for you to get a larger mortgage loan than you normally would be able to, using the above qualifying rules. Are you wondering if you can get approved? Give us a call. We'd love to answer any questions you have regarding buying a home or mortgage qualifications.